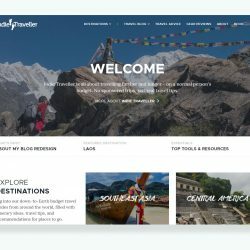 Started in 2013, Indie Traveller is now a major travel blog receiving over 180,000 unique visitors a month. Please understand that my blog is a bit different from most though in that I only work with external partners in a few limited ways. Yes, I’m happy to be interviewed, help with any research questions, or to make a contribution to a collaborative post. I always aim to give you great content. I’ve been quoted on prominent news sites (Lonely Planet, Bloomberg News, Huffington Post), participated in podcasts (e.g. World Nomads, Nomadtopia Podcast), and have been featured on numerous tour company and travel related websites. I’ll aim to link back to your article here too. Yes, I work with travel gear manufacturers. While I don’t offer sponsored opportunities at this time, I do love to hear about your products or to receive review samples for me to look at. 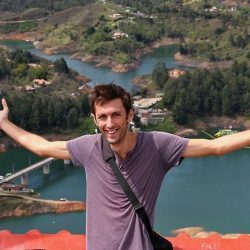 I focus in particular on reviewing travel backpacks; my best travel backpacks page alone get 40k+ unique hits a month. Sorry, I don’t host any sponsored content. I also can’t add links to my resources page, publish guest posts, or share infographics. I’ve made the choice to focus on publishing in-house content only. Sorry, I don’t do any press trips at this time. Sorry, I can’t provide your travel app or platform with content, itineraries, etc. I just create content for my own blog. As a reminder, we don’t offer any sponsored post placements, guest posts, or other SEO/influencer opportunities.